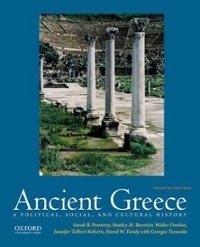 asurampage students can sell Ancient Greece (ISBN# 019068691X) written by Sarah B. Pomeroy, Stanley Mayer Burstein, Stanley M. Burstein, Walter Donlan, Jennifer Tolbert Roberts, David W. Tandy, David Tandy, Georgia Tsouvala and receive a $26.55 check, along with a free pre-paid shipping label. Once you have sent in Ancient Greece (ISBN# 019068691X), your Angelo State University textbook will be processed and your $26.55 check will be sent out to you within a matter days. You can also sell other asurampage textbooks, published by Oxford University Press and written by Sarah B. Pomeroy, Stanley Mayer Burstein, Stanley M. Burstein, Walter Donlan, Jennifer Tolbert Roberts, David W. Tandy, David Tandy, Georgia Tsouvala and receive checks.